Don’t forget to visit us at the Gymea Tradies Bridal Expo next Sunday the 7th of Aug. We’ll be doing a promotion with Living Beauty, so come along to see what great prizes we’ll have on offer! 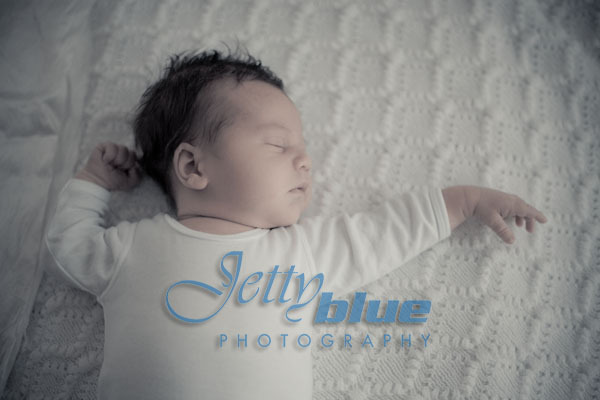 Yesterday morning I took a lovely drive down to Woonona to visit Kristy & James and meet their new little man, Jack. 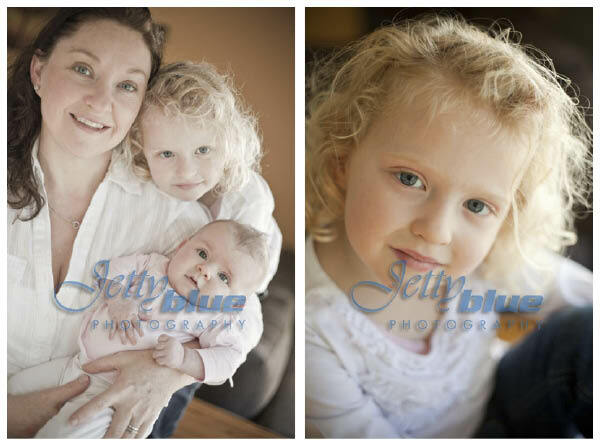 It was lovely to see them all again after I shot their wedding in March last year – it seems like last week! 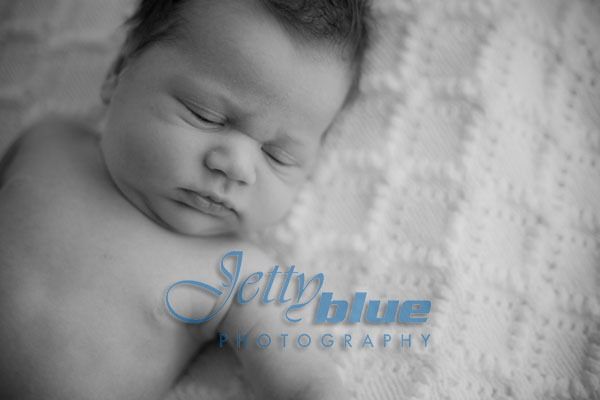 Jack was the perfect subject and cute as a button. 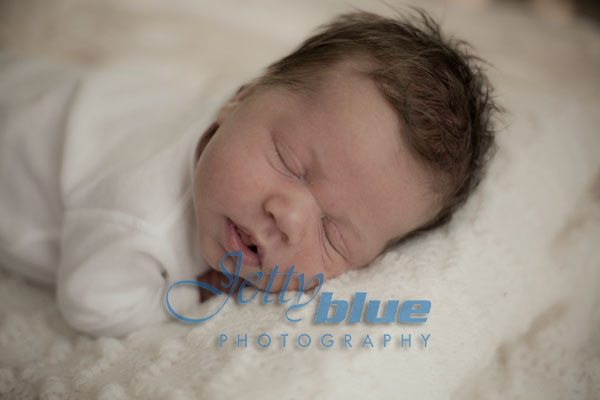 Congratulations guys, he’s delightful and I’m sure, a welcome distraction from the last 12 months you’ve had. Good luck with the new house and I look forward to seeing you all again soon! 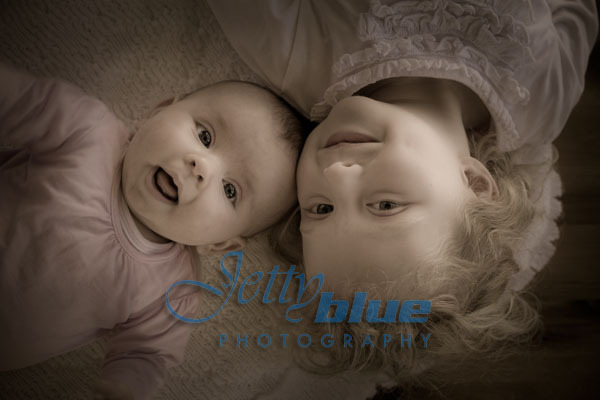 And the 1st Winner from our Illawarra Mercury Expo competition is…VIJA NALDER! 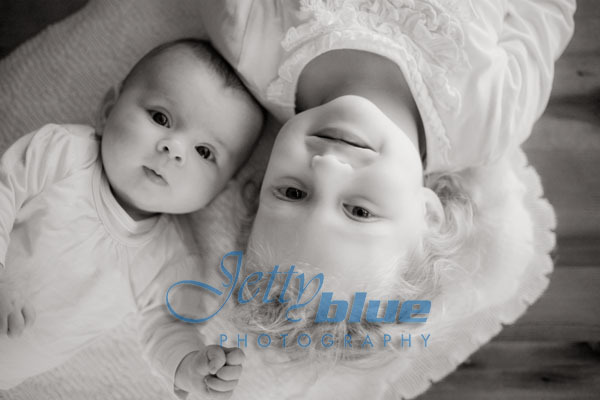 Congratulations Vija, you have won a $250 e-session! And the 2nd Winner from our Doltone House Expo competition is… IVANA RUKAVINA! Congratulations Ivana, you have won a $250 e-session with FREE Glamour Make up from Living Beauty! I’m having quite a time following the Carter family’s journey. 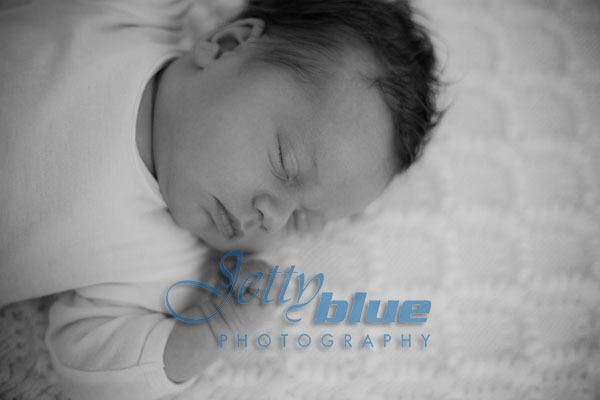 Our latest shoot together captured their latest edition, the lovely Amelia. 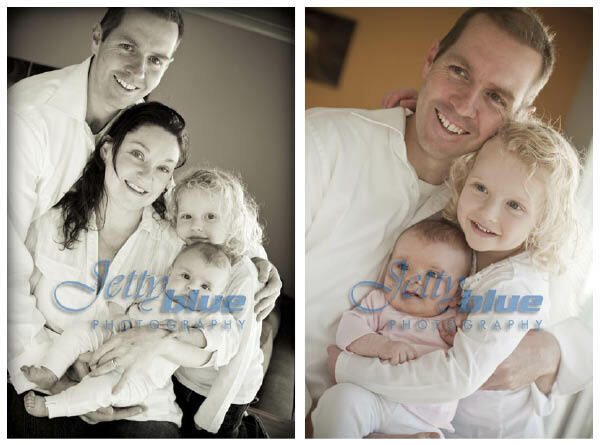 It was wonderful to have the whole family there to capture this special time in their lives. Thanks Lisa, I had a ball. 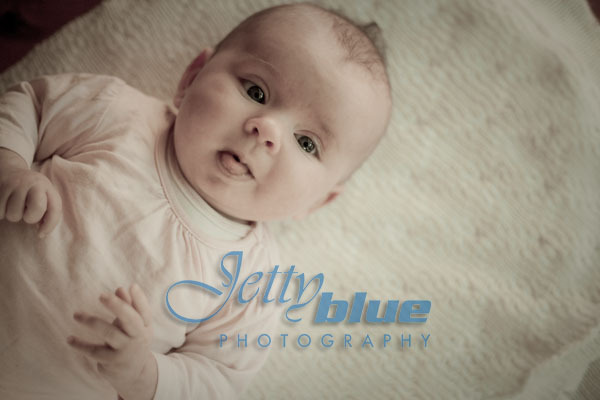 Looking forward to the next shoot! Don’t forget to enter the 2nd chance draw for another e-session with Living Beauty Glamour Make up. 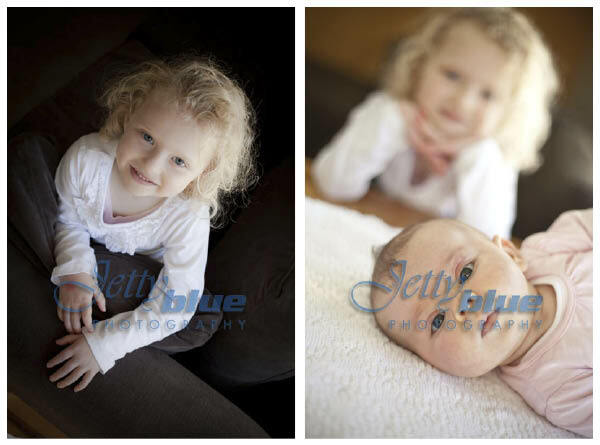 JettyBlue will also be giving away a 3rd e-session, so become a fan on Facebook to enter our 2nd chance draw. The 2nd chance draw will be drawn on Monday the 14th of July. Good luck ladies! 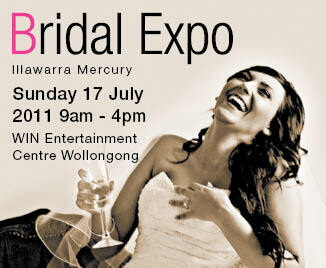 Stop by and say hi at our stand at this weekend’s Illawarra Mercury Bridal Expo and by taking the time to register your details with us, you are eligible for a FREE Matchbook Album with either a Traditional or Premier style presentation album if you book ANY package by 31st of December 2011. The matchbooks are a minature replica of your album and come in a 6x6inch for the Traditional Albums, or a 6x8inch for the Premier Albums. The matchbooks come with a complimentary front and rear photo cover. This offer is limited to one matchbook per bride. 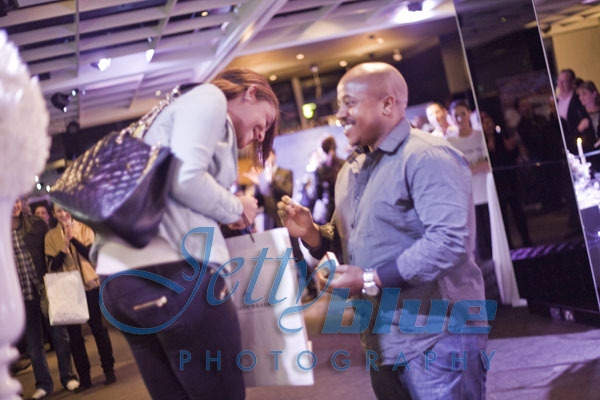 We’re also giving away THREE FREE “e-session”s, so drop into our stand for a chat, pick up a voucher and to enter the draw. Looking forward to seeing you all on Sunday! Yes, yes, I can feel the eyes rolling from here but hey, better late than never! 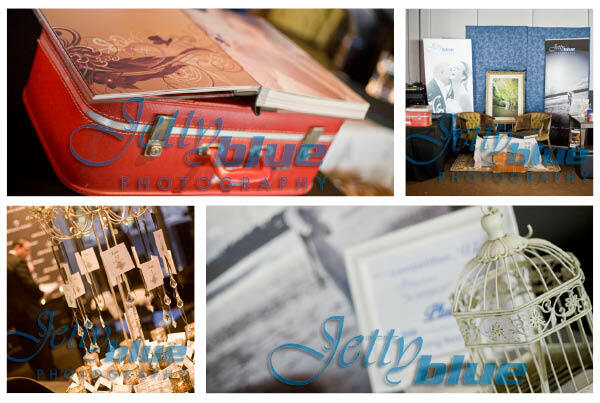 JettyBlue is now on Facebook – Hurrah! 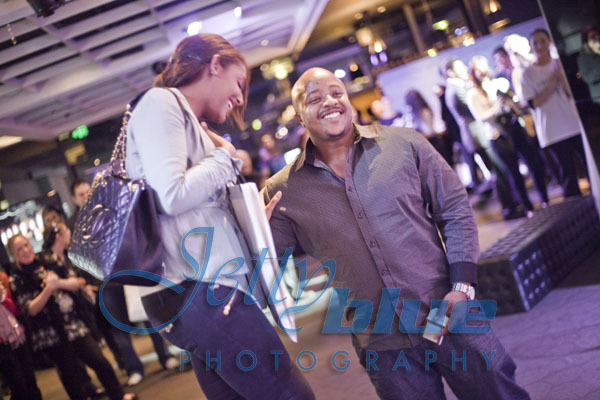 Become a fan and follow our every move, latest trends, competitions and see where we’ll be at the next fabulous expo. We were really excited to be featured in last month’s “That’s Life” magazine. 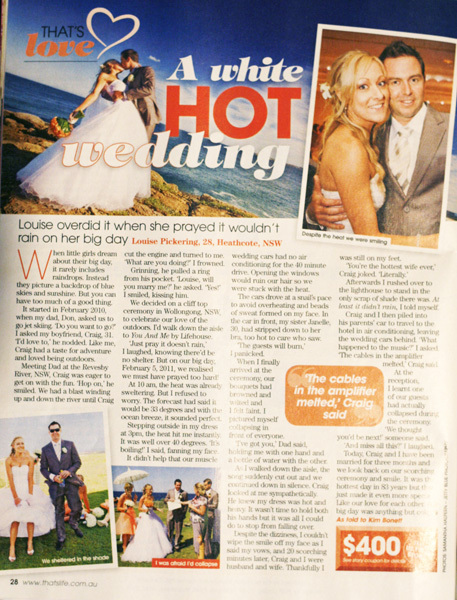 Louise and Craig’s wedding in Wollongong earlier in the year was so great that That’s Life did a terriffic story and of course featured our fabulous pics from the day. What’s next??? Stay tuned for an announcement about our next fabulous special offer for Father’s Day. Our next Expo is the Gymea Tradies where we’ll be cross pollenating again with Living Beauty Make Up Artistry, so keep up to date with our expo special announcements here on the blog and our Facebook page. See you all next month! 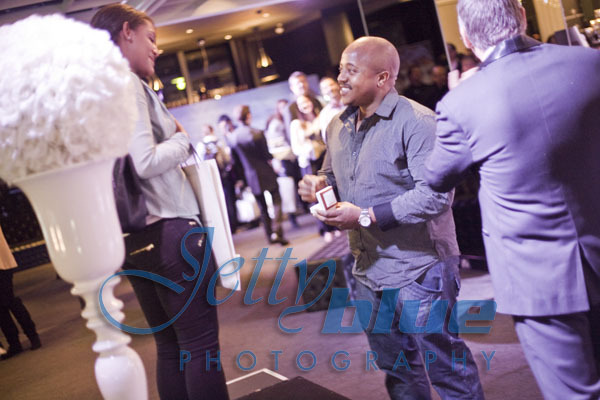 Question Popped at Doltone House Bridal Expo! What an amazing night we had last night! 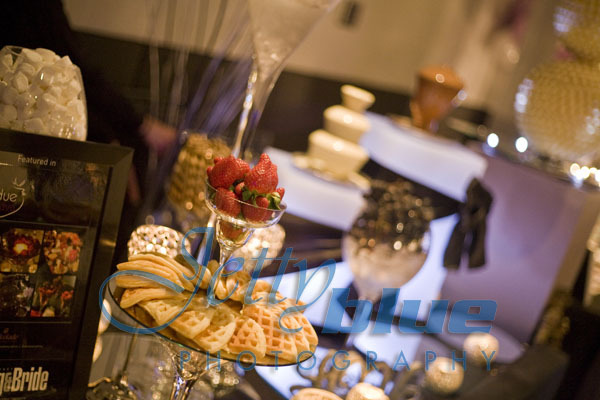 It will go down as one of the best bridal expo ever! 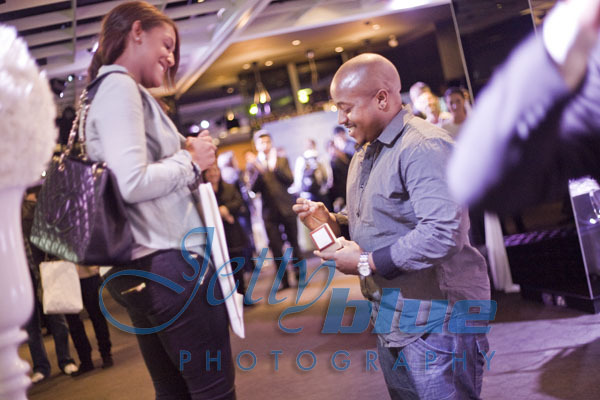 Not only did Doltone House go all out and put on an event not to be missed, but we had a lovely couple Rita & Japher get engaged right there in the middle of the excitement of the expo! As always, I was there to capture every precious moment. Good luck guys, I wish you all the very best for a fabulous wedding day and a loving marriage. 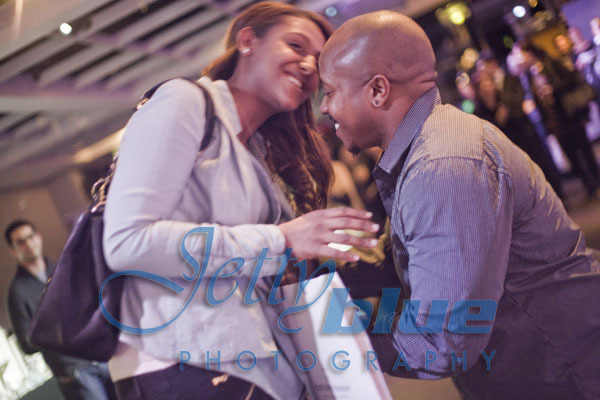 Please accept our JettyBlue congratulations gift of a complimentary Engagement Shoot…this time we might not make it quite as “impromptu”. 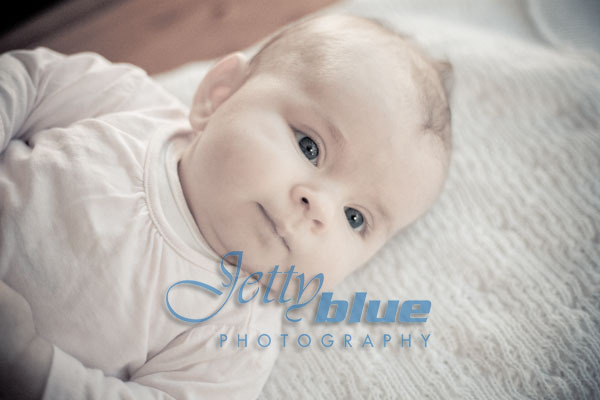 Rita, send me an email or give me a call to arrange your free “e-session”.